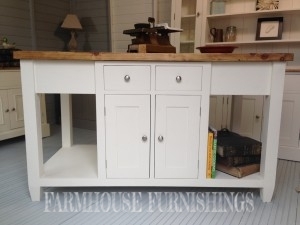 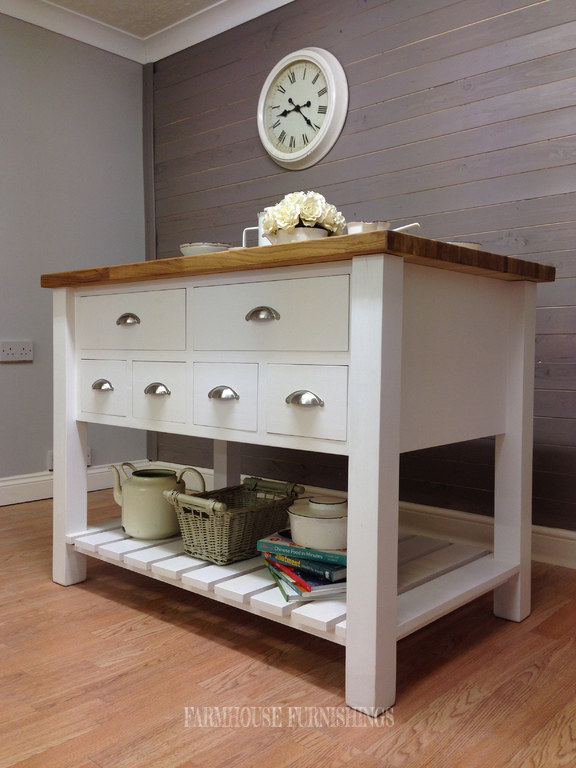 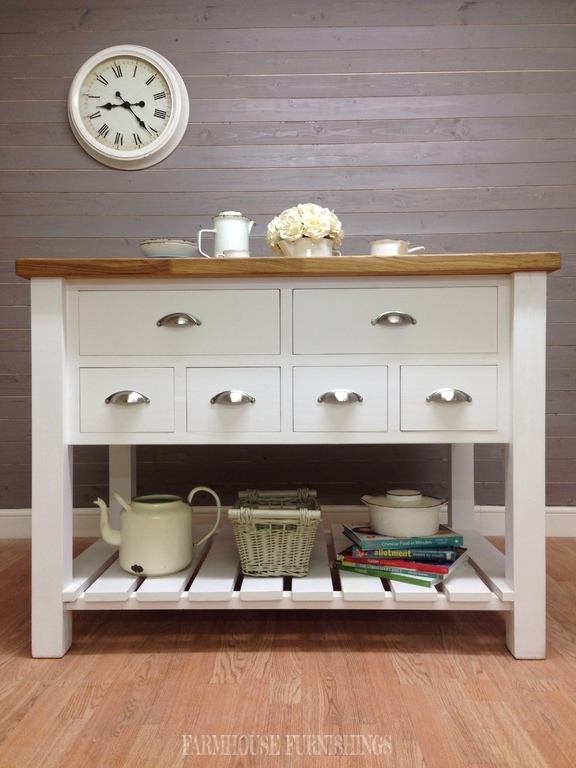 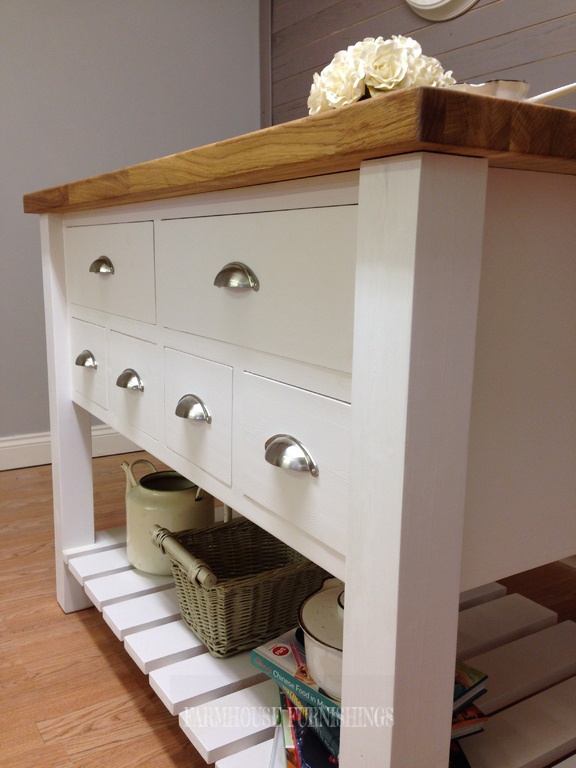 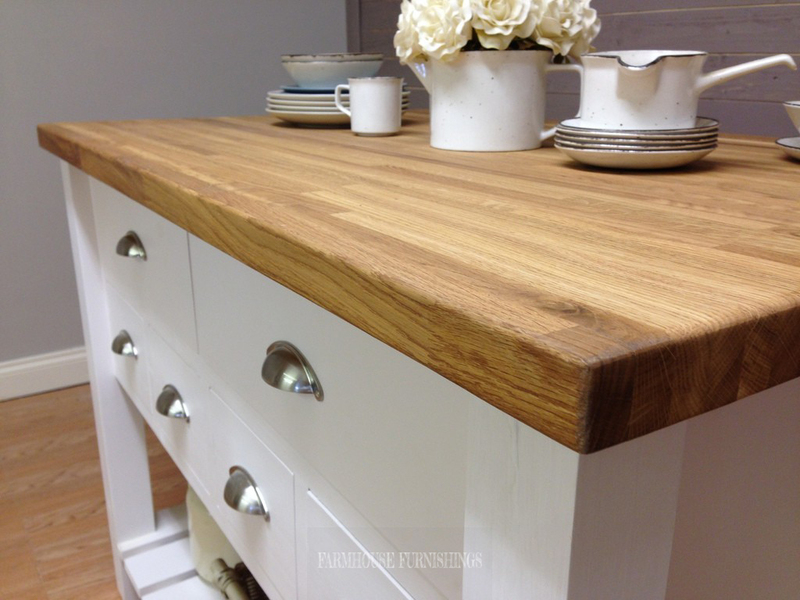 This stylish and practical sideboard is made of solid pine with a solid oak worktop. 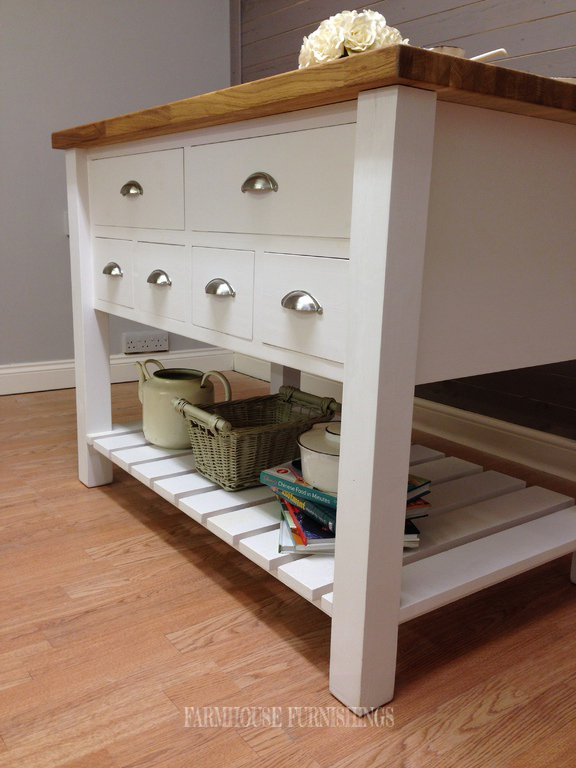 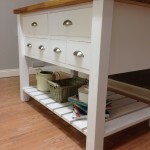 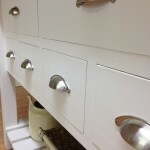 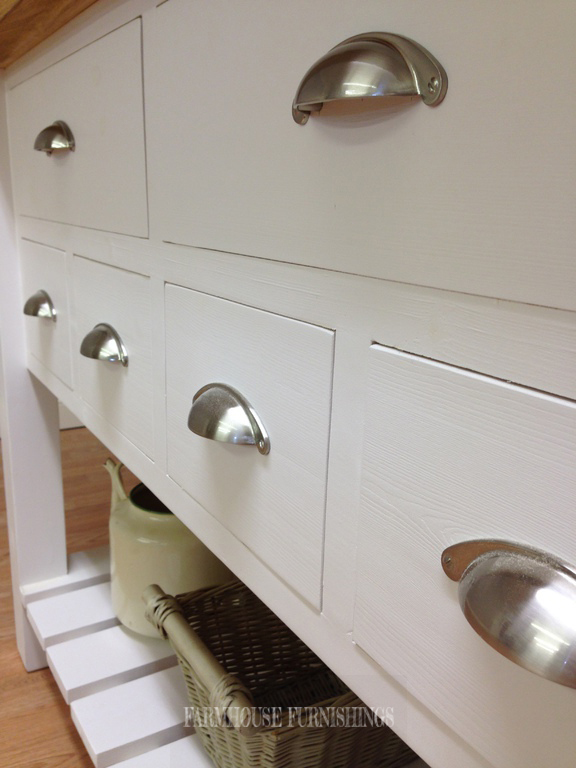 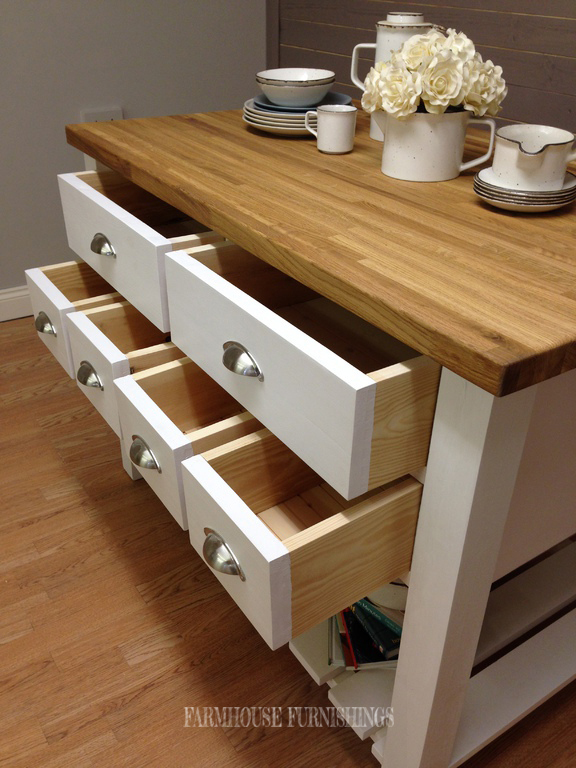 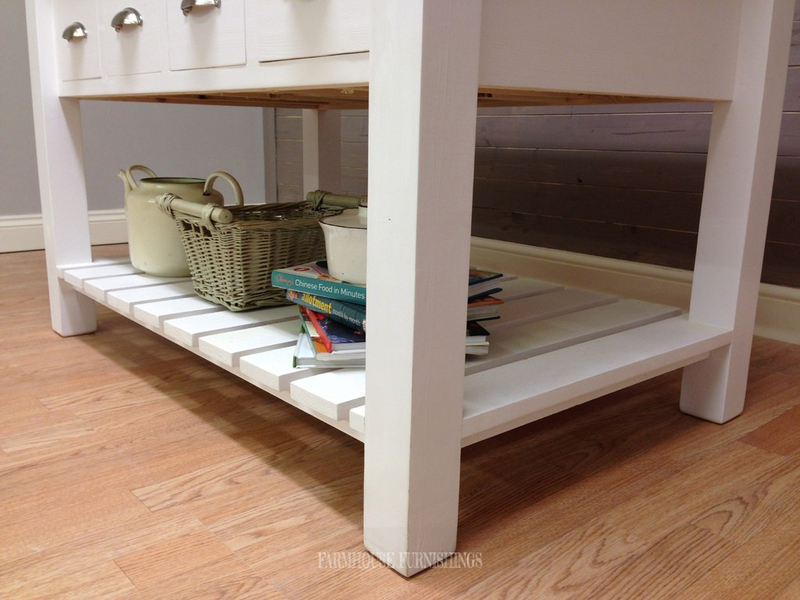 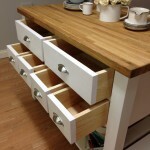 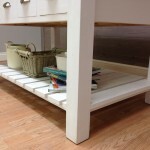 It has a series of drawers and an open base for storing larger items. 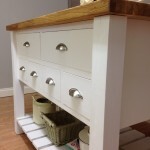 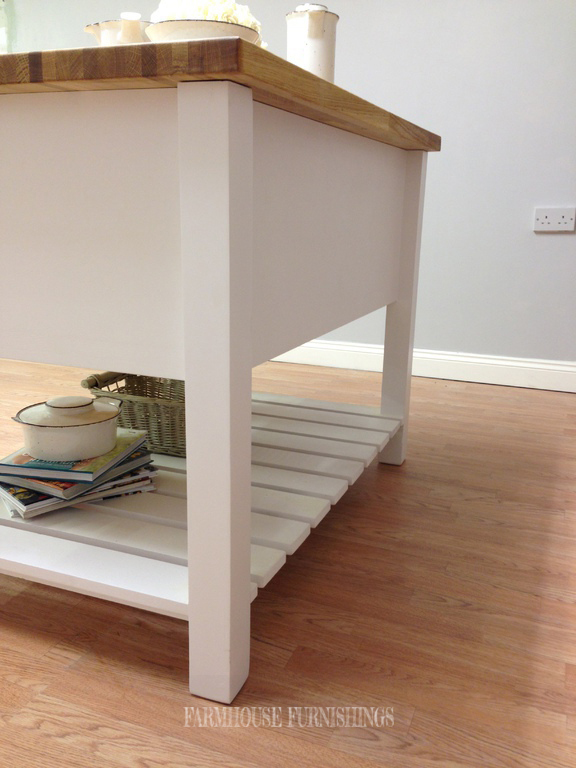 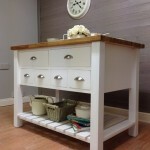 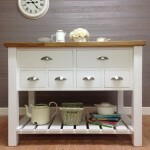 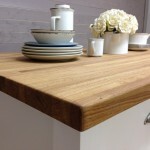 It has been made using traditional methods of joinery in the UK. 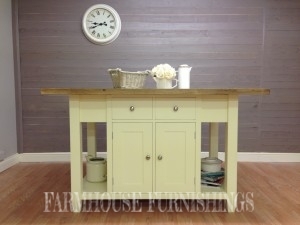 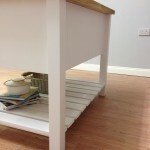 The island has been painted in All White by Farrow and Ball but you can choose any colour Farrow and Ball paint at no extra charge. 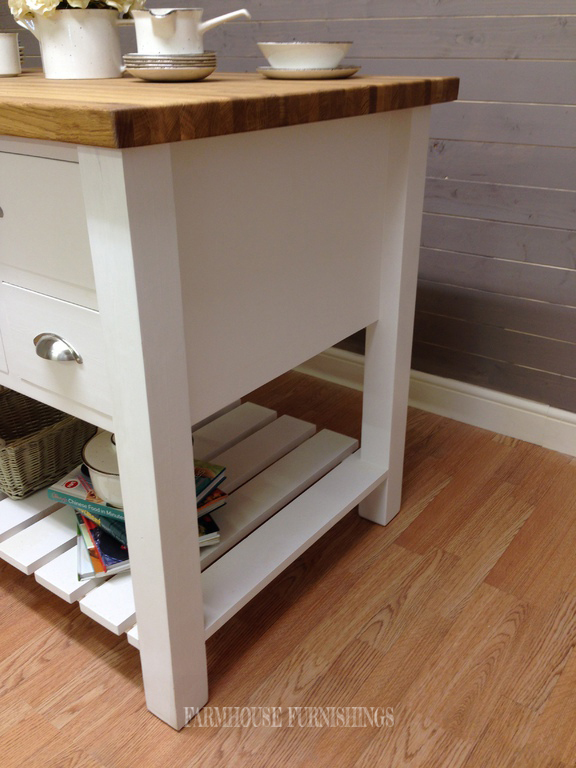 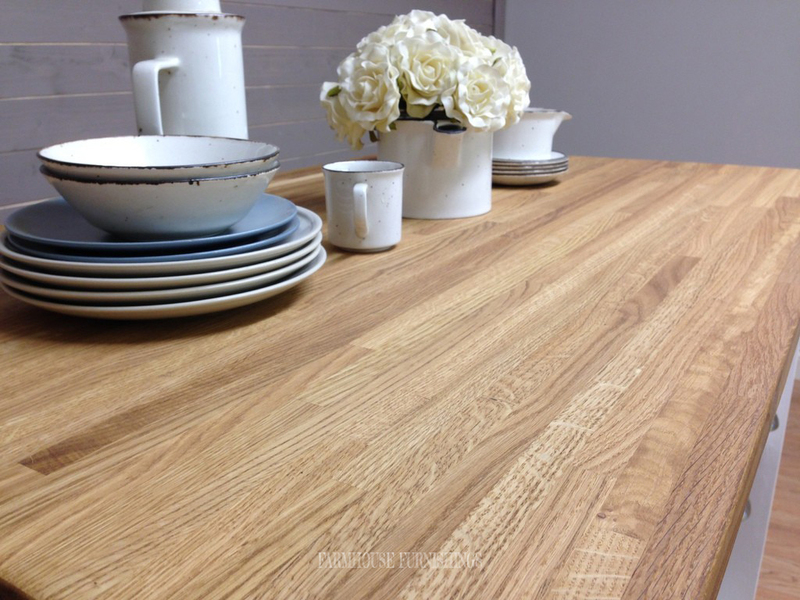 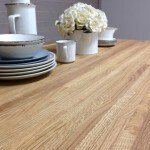 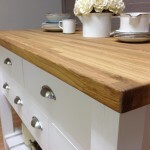 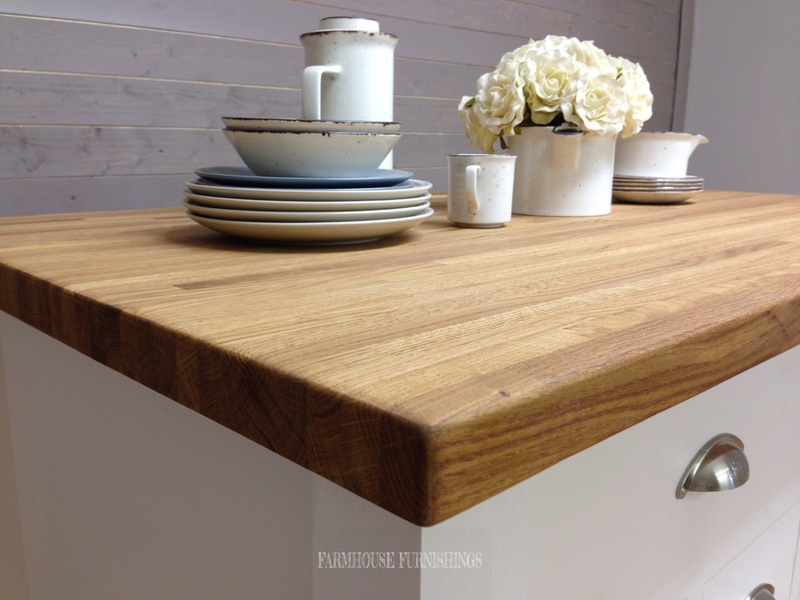 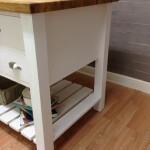 There is also the choice of oak or pine worktops.